NOTICE!!! Please Contact: Mr. Rene Huson. office complex in Den Haag. 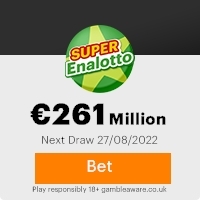 Fifty Million Euro only, shared amongst the fifty winners in this category. recommendation by our Claims Department - Staats Loterij The Netherlands. unclaimed funds will be withdrawn. Dr. P. Swier (CEO), Mr. Rene Huson (Manager Forei gn Operations), Mr.
(Legal Representative), Mrs. Lyudmyla Marchukova(Regional Manager), Mr.
Stephen Boer (Chairman), Mr. Chris Moritz  (International Relation Officer). This Email with the Subject "CONGRATULATION" was received in one of Scamdex's honeypot email accounts on Fri, 11 Apr 2008 12:57:23 -0700 and has been classified as a Generic Scam Email. The sender shows as "STAATS LOTERIJ" <infodeptstaatre@aol.co.uk>, although that address was probably spoofed. We recommend that you do not attempt to contact any persons or organizations referenced in this email, as you may expose yourself to scammers and, at the very least, you will be added to their email address lists for spam purposes.